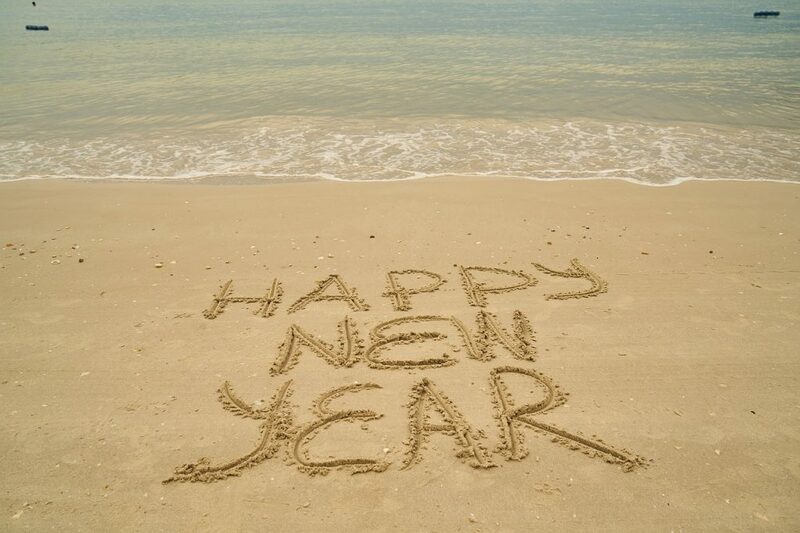 We are happy to celebrate the new year! As a manufacturer & wholesaler of Turkish towels, we bid farewell to 2018 and present you our first peshtemal designs for 2019! We will be giving you short information on our newest designs in this week’s article. 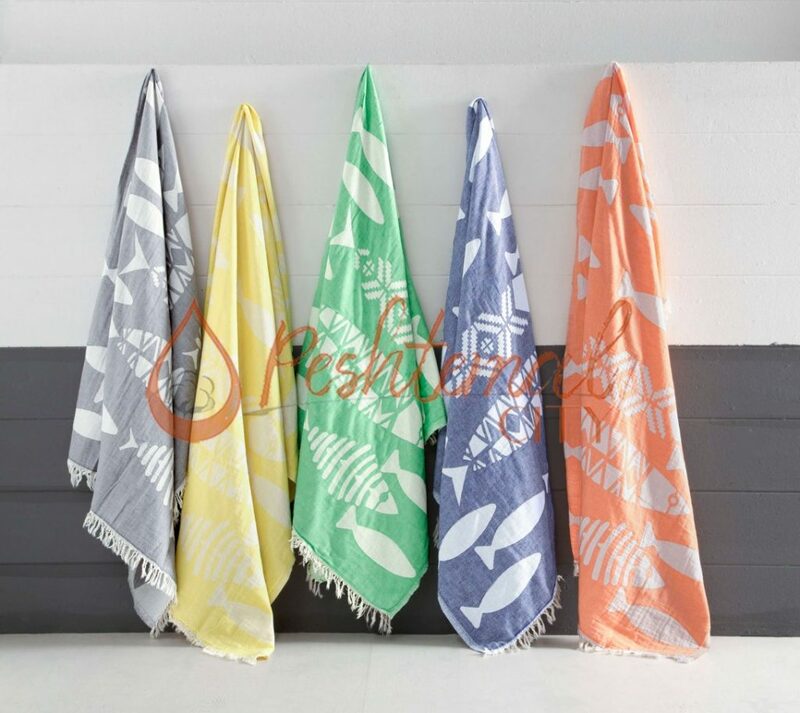 Our newest products are named Hera Peshtemal, Greek Key Peshtemal, Flamingo Turkish Towel, Damask Hammam Towel, Nical Turkish Towel, Pineapple Turkish beach towel, and Pisces Peshtemal. We will be reviewing our entire collection as the time passes. For now, you can get more detailed information on our Turkish towels at their product pages! Named after the Greek Goddess of marriage, Hera Peshtemal will provide integrity to your hotel rooms’ design with its vibrant and eye-catching design. For more detailed about one of our latest fashion peshtemals visit Hera Peshtemal product page! Inspired by the historical beauty of many ancient cities located in Turkey, Greek Key Hammam Towel is perfect for facilities designed traditionally. With its traditional design, Greek Key Hammam Towel will tone perfectly in historical ambients. 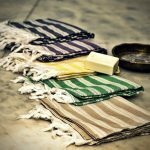 For more information on one of our traditional hammam towel designs visit Greek Key Peshtemal product page! One of our latest fashion peshtemals, Flamingo Turkish towel has a funky design. It has vivid colors all along its texture completed with soft fringes at the both ends. 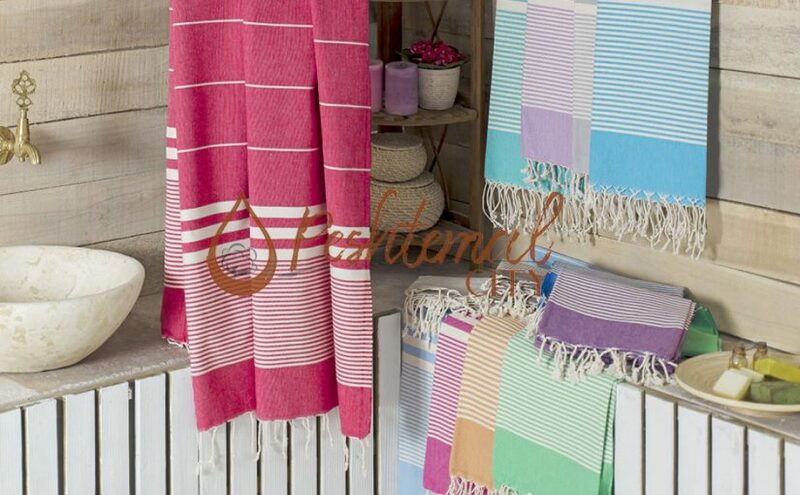 To learn more about one of our funky Turkish towels visit Flamingo Peshtemal product page! 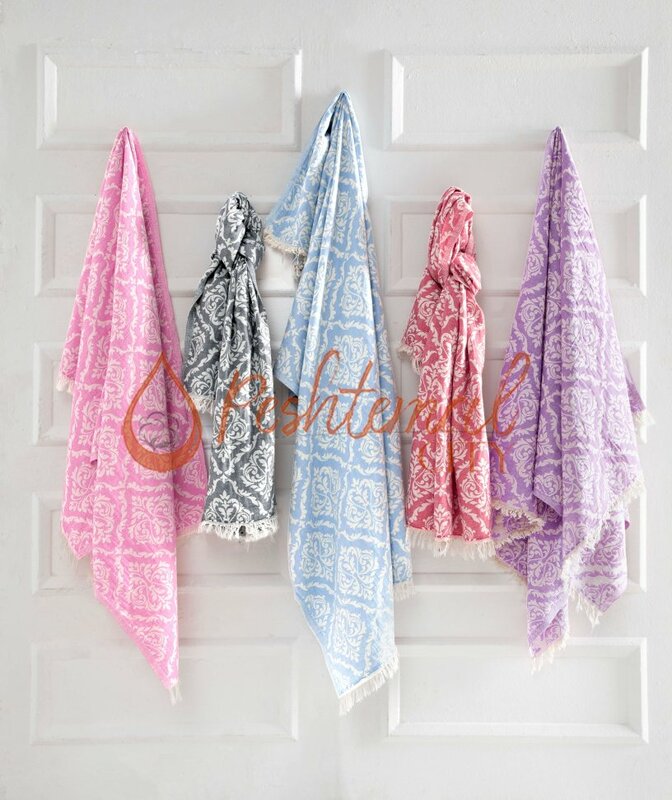 Damask Fouta towel is one of our newest Turkish towels. It will be a perfect finishing touch to your hotel rooms, spas, welness centers, country clubs and bedrooms with its oriental design. 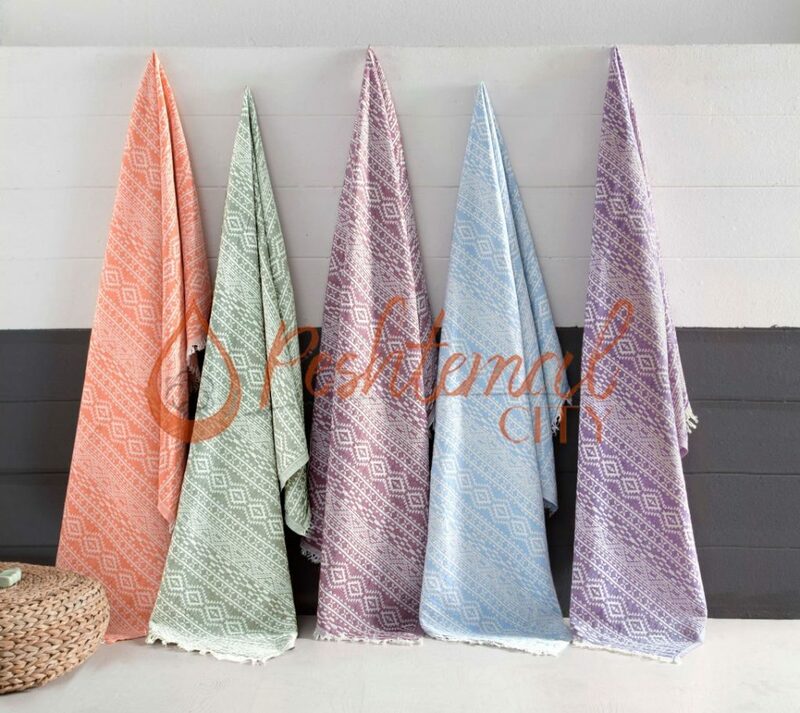 For more detailed information on one of our eye catching Fouta towel designs, visit Damask Peshtemal product page! One of our newest hammam towel designs, Nical Peshtemal has an elegant and unique design. It has a combination of different shapes all along its vibrant texture. Nical Peshtemal will be a perfect finishing touch to your hotel rooms, home, yacht, welness center, spa, and country clubs! To learn more about one of our unique hammam towel designs visit Nical Peshtemal product page! 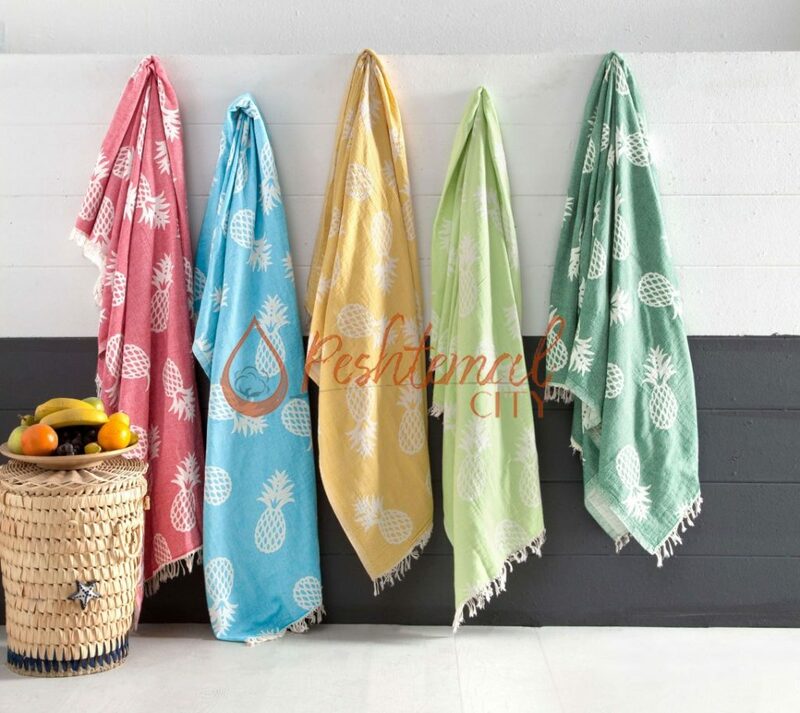 Pineapple Turkish Beach Towel is one of our latest fashion products. It has a fresh design with pineapple shapes on its lively texture. We’ve completed this funky peshtemal design with soft fringes at both ends. To learn more about one of our newest Turkish beach towels visit Pineapple Peshtemal product page! One of our latest fashion Turkish towels, Pisces Peshtemal has various simplistic fish shapes on its lively texture. Its joyful texture is completed with cute fringes swinging at both ends. 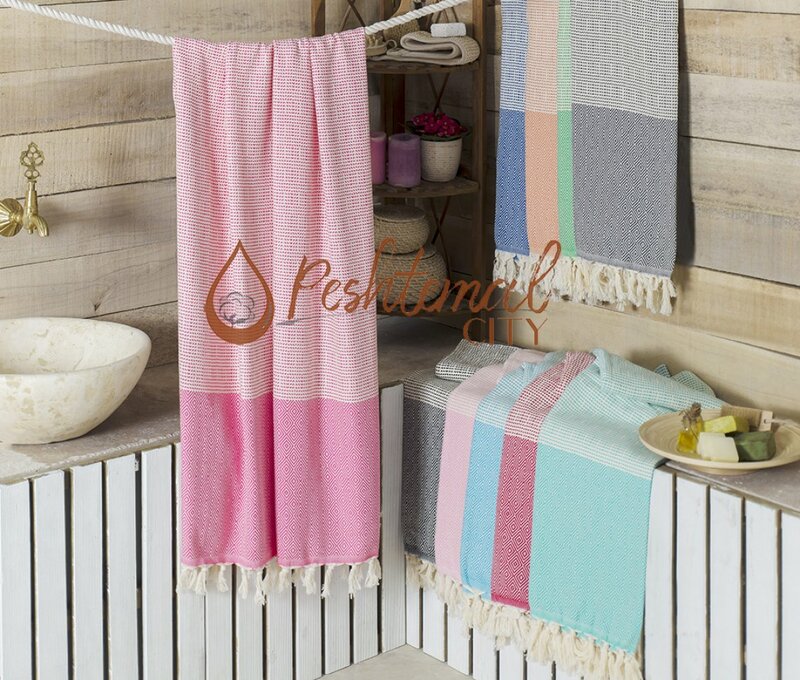 For more information on one of our simplistic yet eye catching Turkish towels visit Pisces Peshtemal product page. We hope that you liked our newest Turkish towels! Don’t hesitate to contact us for any questions or your peshtemal wholesale needs! You can discover our entire hammam towel collection by visiting our products page easily! 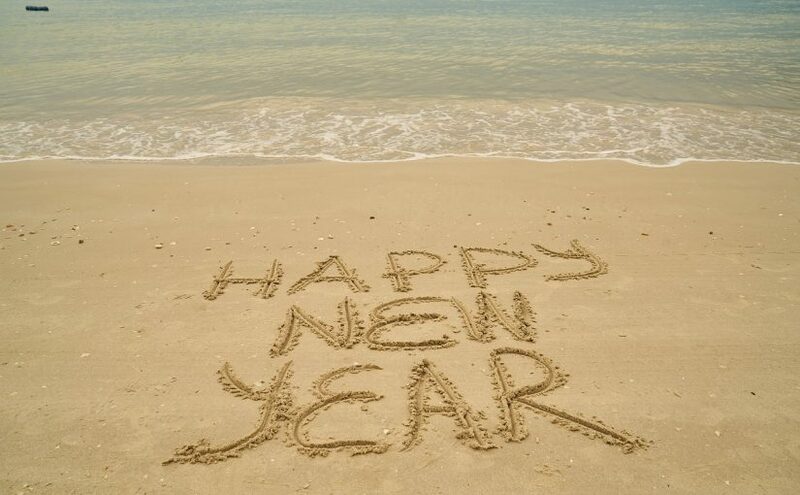 Peshtemal City, manufacturer of Turkish towels, peshtemals, hammam towels, bathrobes, and blankets wishes you a happy and comfortable year in 2019! Flora Turkish Towels are inspired by the vivid variety of colors of all 4 seasons. Match your style with autumn using Flora Turkish towels! Due to their perfect texture, Turkish towels are naturally multi-purpose. They can be utilized in ways you can’t even imagine. The first part of our “Nine Miraculous Ways You Can Use Turkish Towels” article will surprise you! Follow our blog and social media accounts to be informed about our newest articles and products! While finally leaving the Summer season behind it is time for us to take care of our bodies. Just when the season of a healthy lifestyle, working out and breaking a sweat start come, there is only one question in mind. Which one of our Turkish towels will become your go-to towel? After all, whether you are a gym owner or a member, keeping a clean environment by covering the machines with your personal towels and keeping yourselves dry while working out and not leaving the gym without freshening up with a shower, are known to be the golden rules of gyms. As our traditional Turkish towels are large yet light, they cover a much bigger area than ordinary towels. With a larger and naturally quick-drying Turkish towel, you no longer have to be in contact with other people’s body fluids. Though peshtemals come in different weights it is still light as a feather and covers little space in your bags due to their easy-to-pack nature, which makes it easier to take it with you. Check out our entire Peshtemal collection on our “Products” page to find the Turkish Towel that matches your or your businesses style and comfort. Turkish Towels are irreplaceable decorative helpers and accessories for your homes. Having many designs suitable for your kitchens, it will be your favorite cover to your dining tables. Besides, since most of us cook, we all know the importance of keeping a lightweight cloth in reach to dry our hands, dishes, the counter, to hold a hot pot. Plus, anyone who does laundry knows the struggle of washing old-school, heavy, ordinary towels. It will damage your washing machines in the long run due to their heavy-weight nature. As our Turkish towels are lightweight yet absorbent, you should definitely consider using a Turkish towel instead of ordinary towels. After bathing, cheer yourselves up by wrapping your bodies in these colorful, luxurious and soft Turkish towels. Instead of damaging your hair by blow drying, wrap your hair in a Turkish Towel and it will do the work for you. If you want a change of style, you actually don’t have to change all the furniture and spend thousands of dollars for a better style. Cover your tables and couches with Turkish towels to create a bohemian or a modern look, whichever you desire we promise you will find the perfect design for your living rooms in our products page. Oh, no… Does the grass look a little wet today? How unfortunate they’ve watered the grass in your favorite spot. Now your whole plans are ruined. What a mood killer! We occasionally experience this situation. You still can have your outdoor picnic, you still can lay down and chill by reading a book. You only need a Turkish towel by your side. How nice we design and manufacture them just so you can carry it in your bags ready to be useful. We’re leaving our links to our Facebook, Instagram, Twitter, and Google+ pages here for you to easily check them. Don’t hesitate to contact us via e-mail or via our social media accounts for your Turkish towels wholesale inquiries! Peshtemal City wishes everybody a healthy and fun autumn this year! 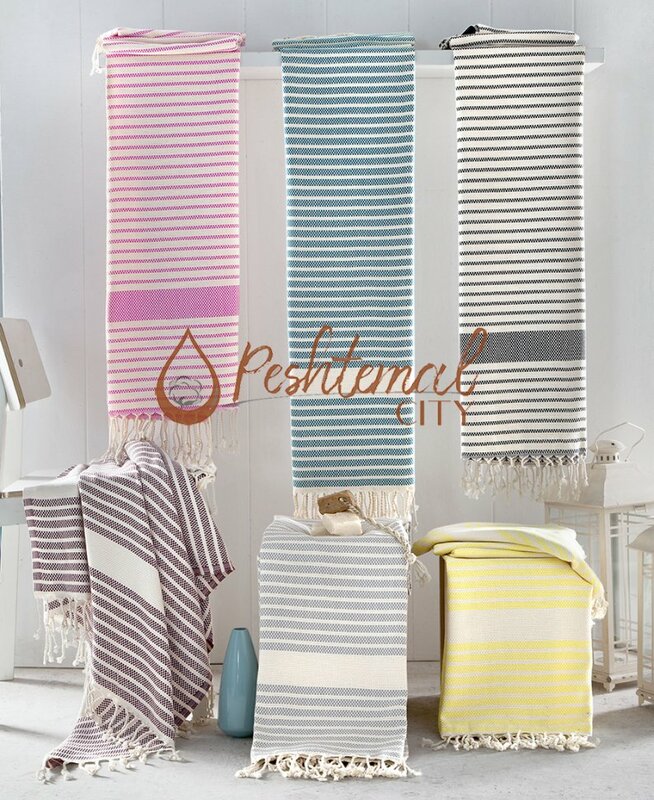 Peshtemals, Turkish towels, hammam towels, and Fouta towels we manufacture and wholesale are highly absorbent, quick-drying, soft, and durable. We use premium quality Turkish cotton during the manufacturing process of our products. Dyed by the best dye-house in Denizli/TURKEY, they don’t contain any harmful materials on their texture. 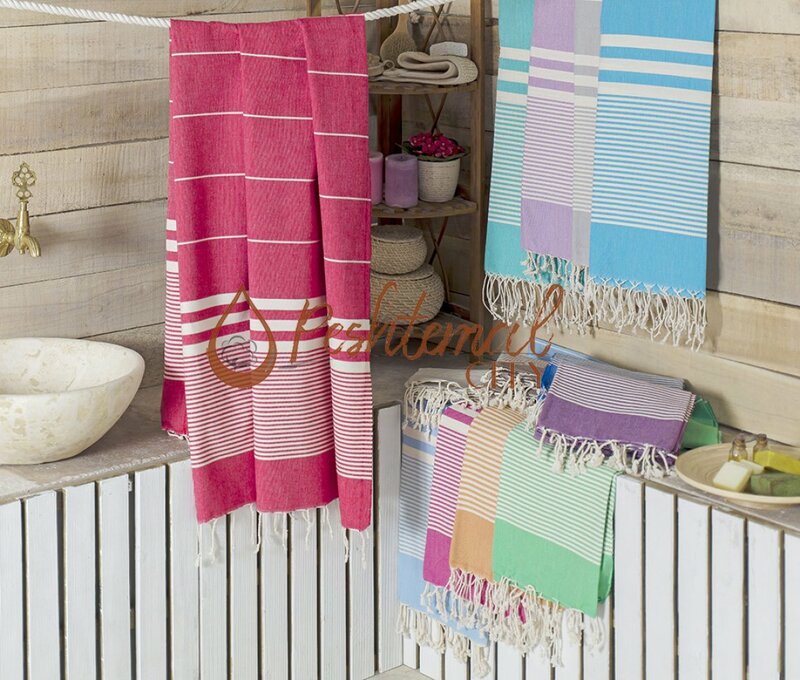 Peshtemals, Turkish towels, hammam towels, and Fouta towels we manufacture and wholesale are high-quality by all means. They are perfect for daily use. However, we know that a perfect texture alone is not what makes a peshtemal desirable. It must be elegant, bright, and lively just like our latest fashion Turkish beach towel designs! Discover our latest fashion Turkish beach towels at our “products” page! This week’s blog post is a review of our top-selling high-quality and stylish hammam towel designs: Ocean Peshtemal, HoneyComb Peshtemal, and Waffle Peshtemal. For more information on our latest fashion Turkish towel designs, visit our “peshtemal products” page! 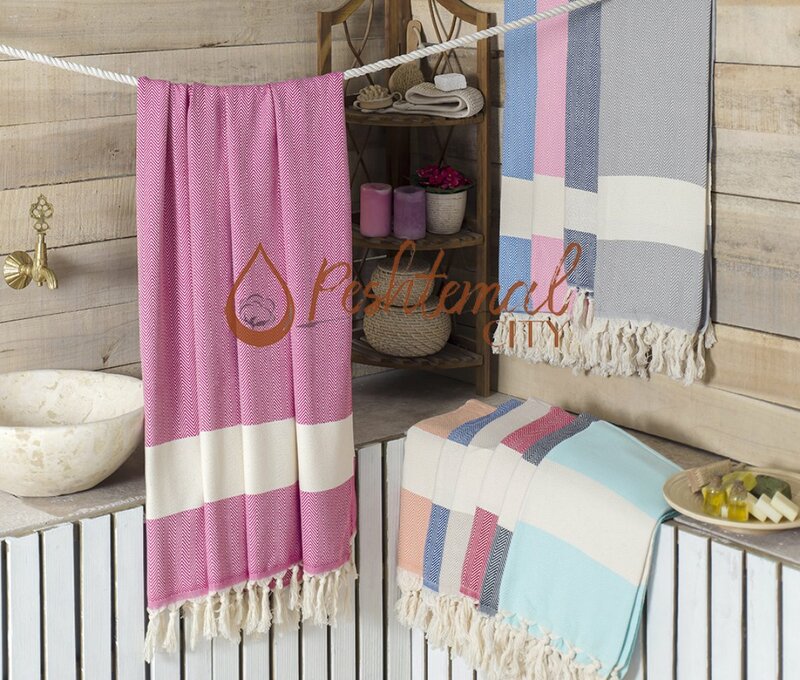 Ocean Peshtemal is one of our top-selling hammam towel designs! Woven 100% from premium quality Turkish cotton, Ocean Peshtemal has a high-quality texture. It is highly absorbent, quick-drying, soft, and durable. It has a size of 100×180 centimeters and weighs only 430 grams! 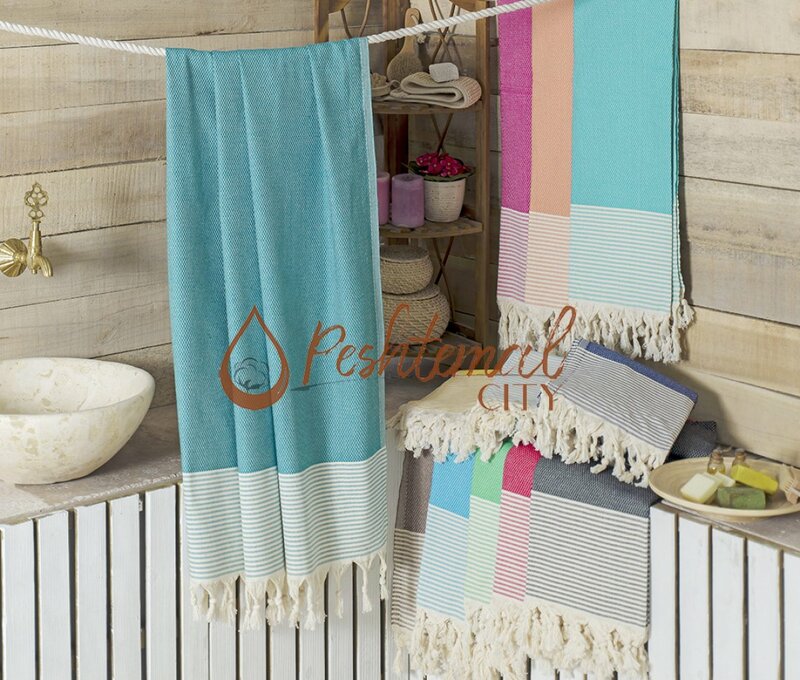 Due to its light-weight texture, and useful properties, Ocean Peshtemal is one of our top-selling hammam towel designs. Inspired by the endless and encouraging oceans, Ocean Peshtemal has an elegant and vivacious design. Wave patterns created with one of the most symbolic aspects of hammam towels, stripes, combined with white, thick fringes at the ends, make Ocean Peshtemal one of our most desired Turkish towel designs! You can select the combination of colors from the wide color spectrum we offer for Ocean Peshtemal to create a perfect combination with your beachwear or to decorate your bathroom with an elegant hammam towel! For more detailed information on one of our vivacious hammam towel designs visit Ocean Peshtemal product page! HoneyComb Peshtemal is one of our special Turkish towel designs! One of our other top-selling hammam towel designs, HoneyComb Peshtemal, is woven 100% from premium quality Turkish cotton. With a weight of 380 grams, it is a little bit lighter than Ocean Peshtemal. HoneyComb Peshtemal is also highly absorbent, quick-drying, soft, and durable. HoneyComb Peshtemal takes very little space in suitcases. Its premium quality and light-weight texture make it perfect for your vacations! HoneyComb Peshtemal is not just an ordinary towel. It is designed to be a morale booster! It is a special Turkish towel design. Inspired by hard-working honeybees, HoneyComb Peshtemal has hexagonal prismatic shapes combined with bright colors on its texture. It is designed to remind you how well-earned your vacations with your family, and your loved ones! To learn more about one of our special Turkish towel designs visit HoneyComb Peshtemal product page! Waffle shapes combined with vivacious colors, completed with white fringes at the ends, Waffle Peshtemal is one of our cutest and liveliest Fouta towel designs! 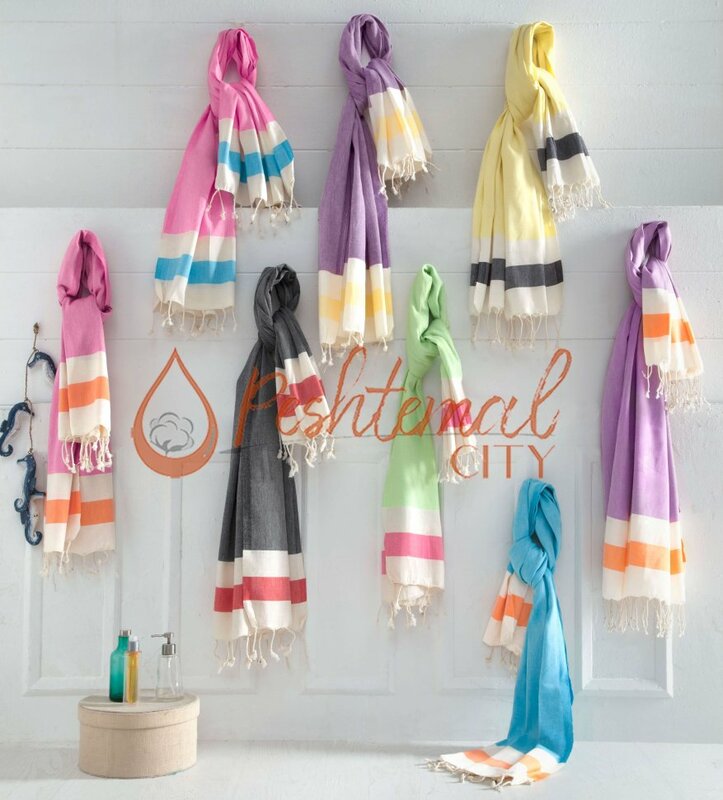 The wide color spectrum we offer for one of our loveliest Turkish towel designs, Waffle Peshtemal, make it the perfect gift for your family and friends! What makes Waffle Peshtemal is not its design alone! It is the perfect combination of its cuddlesome design and comfortable texture what makes it perfect for daily use! Waffle Peshtemal is highly absorbent, quick-drying, soft and durable! Thanks to its easy-to-pack, and useful texture, it is perfect to take to beaches, pools, spas, hotels, gyms etc. To learn more about one of our cute Turkish beach towel designs visit Waffle Peshtemal Product page! Before we finish, we suggest you visit our “What is Peshtemal?” page for more detailed information on the historical and cultural aspects of peshtemals, Turkish towels, hammam towels, and Fouta towels! Be sure to visit our “products” page to discover the latest fashion and high-quality peshtemals we manufacture and wholesale! Don’t hesitate to “contact” us with any questions or your hammam towel wholesale needs! We are continuing our latest fashion peshtemal reviews this week with our locally named Pamukkale Peshtemal, Lidya Hammam Towel, and hipstery colored Flora Turkish Beach Towel. As we proudly design, manufacture, and wholesale our unique peshtemals, we suggest you to take a look at our “products” page for more information and options so that you won’t miss our latest high-quality Turkish Beach Towels! 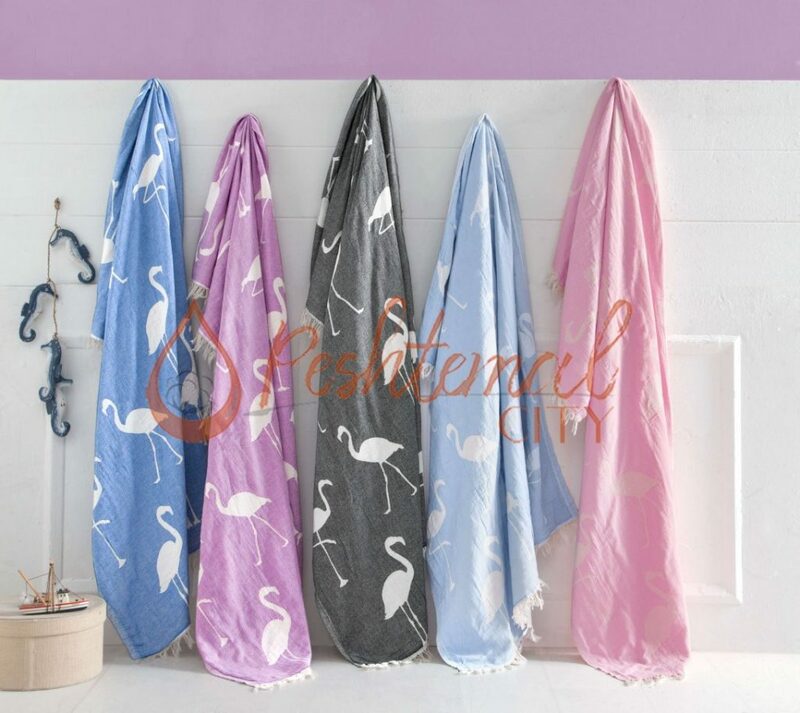 We believe the Beach Towels in this article will bring a whole new look and fashion sense to the classic and boring beach towels this summer. We are hyped to present you our Pamukkale Peshtemal, Lidya Hamam Towel, and Flora Turkish Beach Towel. Woven from %100 high quality cotton, Pamukkale Peshtemal weighs 380 grams and it has a size of 100×180 centimeters. Pamukkale Peshtemal is a bit heavier compared to our other peshtemals yet this feature enables it to be more absorbent making it perfect to use it in a long day at the beach. Pamukkale Peshtemal is highly durable and quick-drying. In this design, we used thick stripes in the middle and thin stripes and fringes at the ends. The unique and special thing about this product is how the colors of it represent the serenity and the freshness of travertine terraces of Pamukkale. The color spectrum of this product is chosen from the shades of travertines in every phase of the day. This makes the Pamukkale Peshtemal perfect for freshening up at the beach, feeling cool and relaxed in traditional Turkish Hammams. Also it can be a highly decorative towel in your homes where every guest would be impressed. Also woven from %100 quality cotton, Flora Turkish Beach Towel is soft and easy to pack. With a size of 100×180 centimeters and a weight of only 260 grams, it takes a tiny place in your backpack. It is a highly absorbent and light-weight . As it is our mark, it is extremely durable. It is an example of unusual elegance with its thick and thin stripes. This product is for our customers that prefer more hipstery colors rather than flashy colors. We are trying to create designs for every taste. Our designers were inspired by nature and combined the Spring and Autumn flowers’ shades while creating the color spectrum of this product. It is perfect for a picnic by the lake as it only weighs 260 grams. You can carry it with you every day ready to settle when you stumble upon a perfect spot to lay down your Flora Peshtemal and relax, have a lunch or just read a book. And we bet that it will be the complementary piece in your homes. With its simple strippy design, Lidya Hammam Towel becomes a must have Peshtemal in your suitcase and it is perfect for every occasion. It is an essential piece in our latest and top quality collection. It is durable and surprisingly lightweight with a weight of 260 grams and with a size of 100×180 centimeters. It is soft and safe to use without causing irritation on skin as we weave our products from %100 top quality cotton. This Hammam towel is named after the Lydia which was an Iron Age kingdom inhibited in the western part of Turkey. This hammam towel is a representation of tradition yet modernised with wide vibrant and soft color spectrum and thick stripes. There are color options for your every mood. This product is what you need and deserve as it is highly fashionable, easy to pack and wash, highly absorbent and light as a feather. 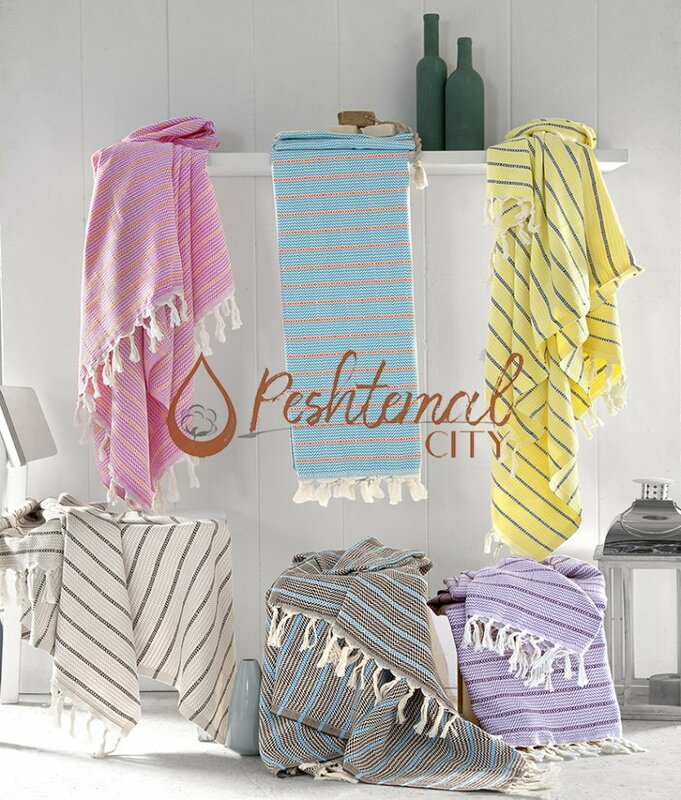 Whether use it in our famous Turkish Hammams or at the beach or in the gym you will see the difference and be glad to have chosen our Peshtemal over ordinary towels. We took a break from our hammam towels reviews last week and answered an important question our customers frequently ask: “Why you should choose us as your hammam towel supplier?”. 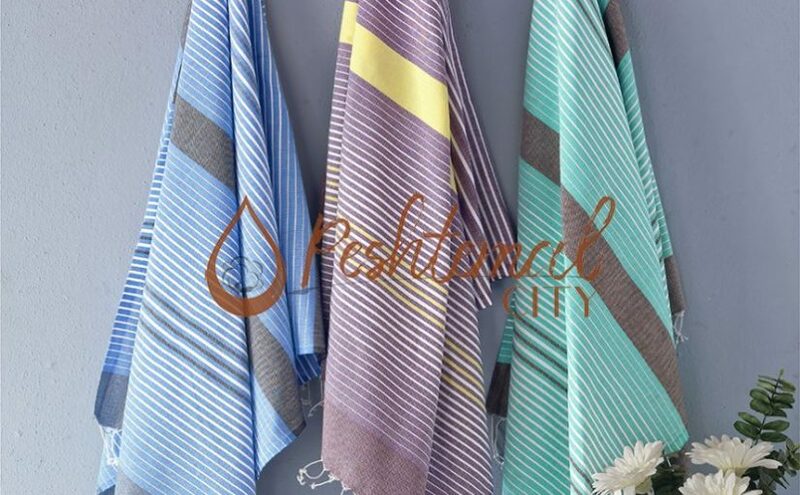 This week, we will be continuing our peshtemal reviews, and will be reviewing three of our most elegant striped designs: Strippy Hammam Towel, Beachy Peshtemal, and Sakura Turkish Towel. Before we begin our article, we suggest you visit our “products” page for more information about our high quality and latest fashion peshtemals. Also, be sure to visit our “contact” page for any questions or your peshtemal wholesale inquiries! We wish everybody a fun & relaxing Summer’18! Woven 100% from high quality cotton, weighs only 300 grams. It has a size of 100×180 centimeters. Strippy Peshtemal is light, and thin. Even though it has a thin and light-weight texture, it is highly absorbent, quick-drying and durable. Strippy Peshtemal has a combination of thin and thick, colorful stripes on its texture, and has fringes swinging on both ends. However the stripes and fringes are the aspects of a traditional hammam towels, our designers’ imagination created a modern and fashionable hammam towels with them. 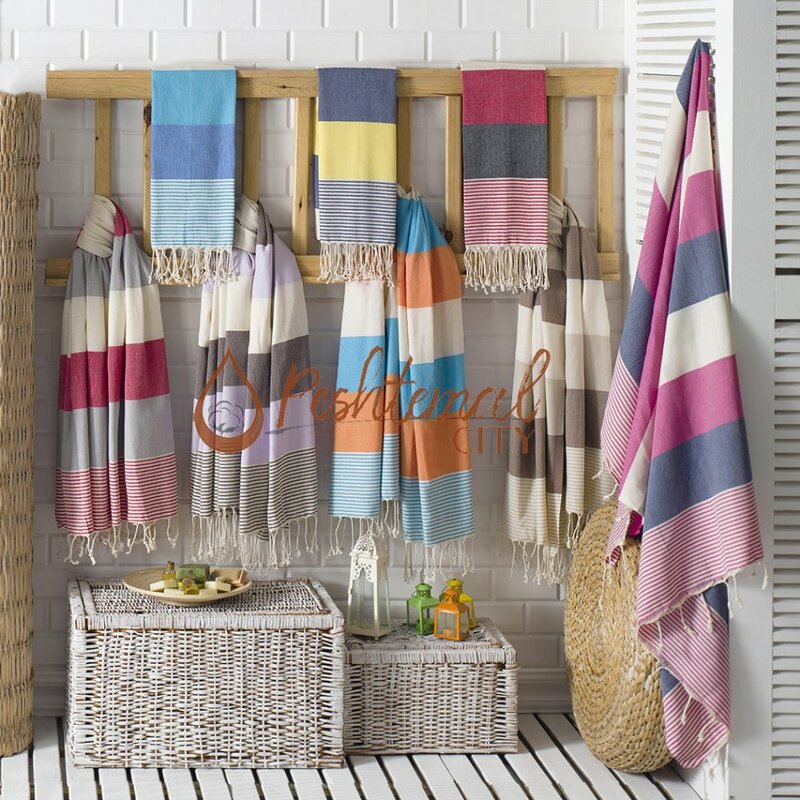 Not only perfect for you to make a fashionable combination with your beach wear, Strippy Peshtemal is also a perfect decorative item for your bathrooms. Woven 100% from high quality cotton and dyed by the best dye-house in Denizli, Beachy Peshtemal doesn’t contain any harmful materials, thus can be confidently used. With a size of 100×180 centimeters and weighing only 300 grams, Beachy Peshtemal is an easy-to-pack Turkish beach towel and takes very little space in backpacks, and is perfect for your travels. With the combination of white, and colorful, thin stripes on its design Beachy Peshtemal has a vibrant design. You can select the color you desire from the wide color spectrum we offer for this product, and stay fashionable during Summer 2018 at beaches, pool sides, hotels, spas, hammams, and gyms! 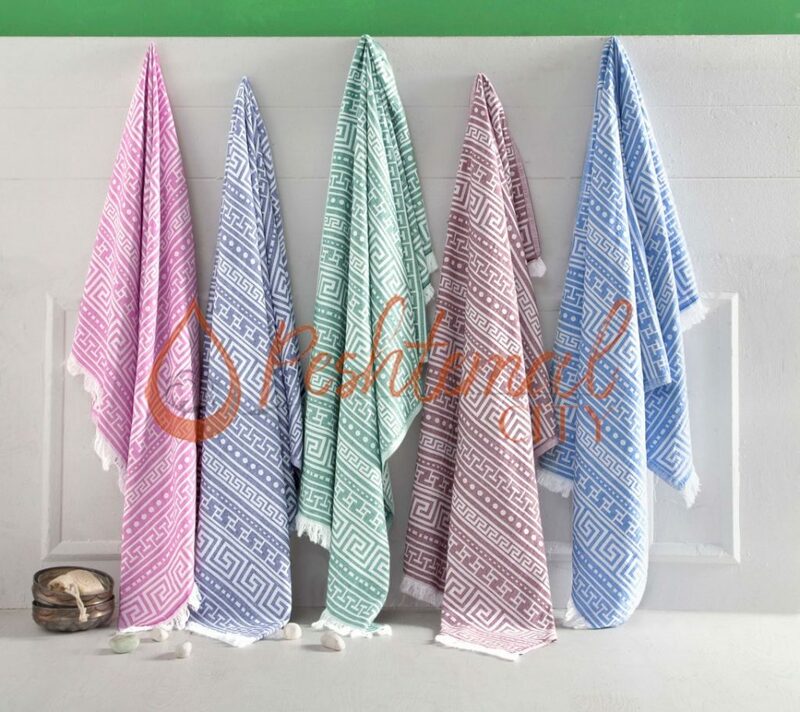 With its simplistic yet vibrant design, Sakura Peshtemal is one of our top selling Turkish towel designs. It has different colored thin and thick stripes on its texture. With a size of 100×180 centimeters, and a weight of only 300 grams, Sakura Peshtemal is easy-to-pack and takes very little space in backpacks. Thus you can easily take it to beaches, spas, hotels, pools, yachts, gyms etc. Sakura Peshtemal is also a perfect decorative item for home and hotel bathrooms!